Team Lakay's undefeated MMA Fighter Joshua Pacio will fight for the biggest break of his career. Joshua Pacio will face the Japanese One Championship Strawweight Champion Yoshitaka Naito of Japan on October 7, 2016 at Thuwunna Indoor Stadium, Yangon, Myanmar, Myanmar. Pacio with the undefeated record of 8 wins with 3 wins by way KO's and 5 wins by submissions is the top prospect from the Team Lakay right now. 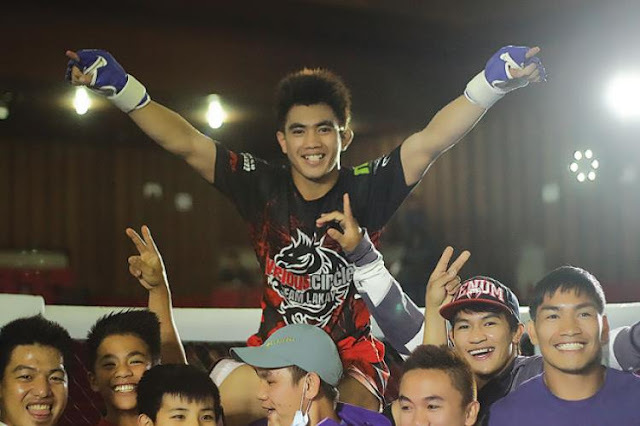 Pacio wins his last 2 fights in the best MMA Organization against Robin Catalan via TKO and Kritsada Kongsrichai via Submission (Rear-Naked Choke). Pacio doesn't have a Resume like the Japanese Champion but he is confident that he can win the fight. On the Other hand, Yoshitaka Naito of Japan is also undefeated with the record of 11 wins, the Japanese MMA Fighter upsets the former strawweight champion from Thailand Dejdamrong Sor Amnuaysirichoke in his ONE championship debut last March 2016. Yoshitaka Naito is also a champion from Shooto MMA in Japan. Yoshitaka Naito vs Joshua Pacio is included in ONE CHAMPIONSHIP - STATE OF WARRIORS to headline by Aung La N Sang vs Michal Pasternak.